I get so excited for the holiday season that I’d start decorating in July if I could (actually, I probably could because I live in an area of the world where folks love to keep Christmas lights up year round). 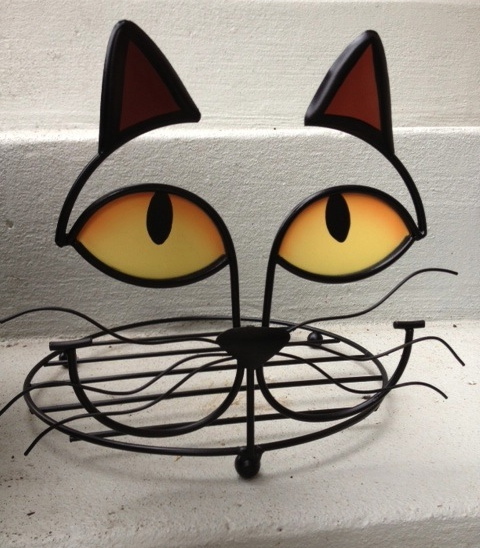 While I have plenty of decor already (and only 700 square feet to spruce up holiday style), I was perusing the aisles of a local store and came across the most needed pumpkin accessory. 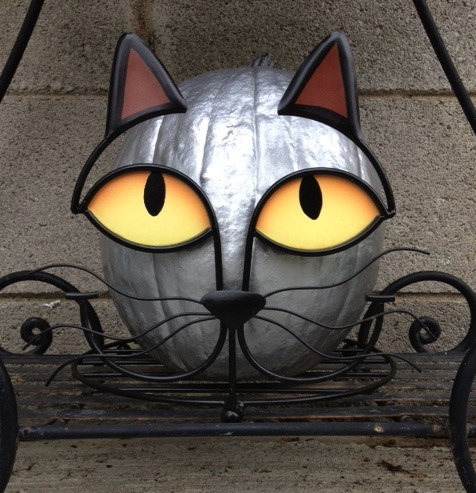 Turning a pumpkin into a cat was the easiest decorating I’ve completed during Halloween season – all for $10.00. Not being a tabby cat owner, the orange color just wasn’t cutting it for me. It didn’t remind me enough of my Russian Blue mix, Ted. From boring to bling in 30 seconds flat. A little more fierce than fraidy, huh? 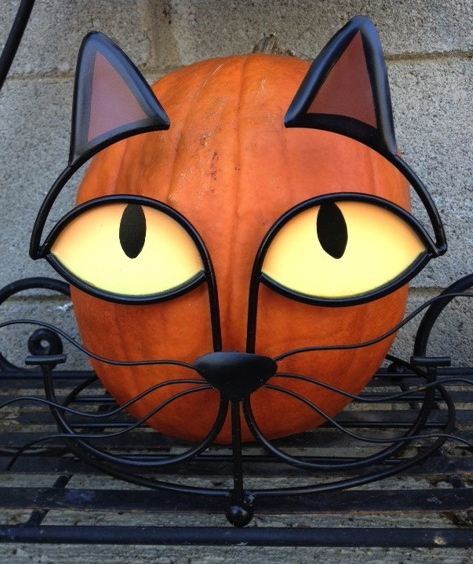 This entry was posted in DIY, FUN!, Teddy and tagged Accessories, cat, cat owner, diy, Halloween, Halloween decor, halloween season, holiday style, home, penny pincher, shopping, style. Too Cute! I love instant decor! Thanks for visiting the Painted Apron!